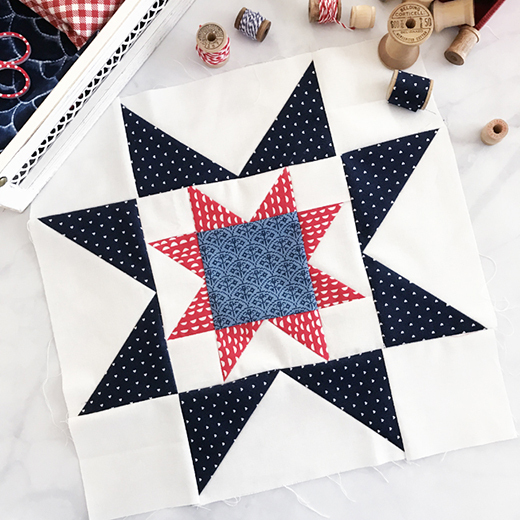 This Star in a Star Block designed by Lindsey Weight of Fort Worth Fabric Studio, The Tutorial is available for free. "This is my favorite block in the quilt! I love star blocks, and this one is a double star block! I'm thinking I need a whole quilt made out of this block! ;)"